Long-term rates for larger mortgages remain a bit lower than rates for conforming mortgage loans. WASHINGTON — Mortgage rates show no signs of heading higher. Indeed, with 10-year Treasury yields falling, long-term mortgage rates have been moving lower in recent weeks. And borrowers who already have a mortgage are moving to take advantage. 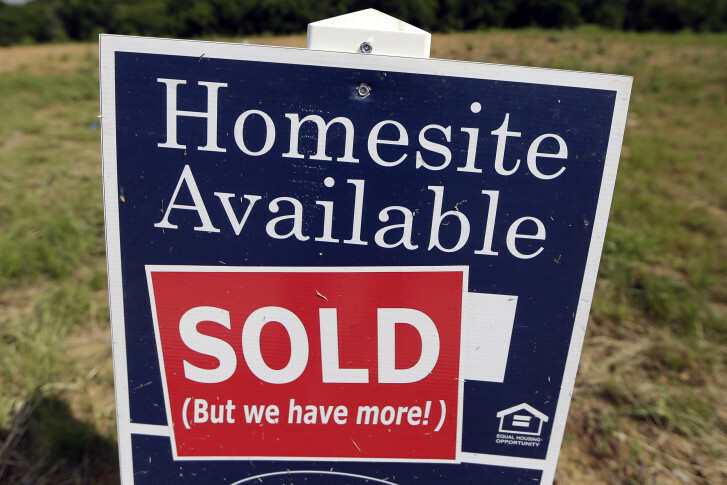 The Mortgage Bankers Association says refinancing applications rose 16 percent last week. Refinancings now account for 61.2 percent of all mortgage applications. The average rate for a 30-year fixed-rate non-conforming, or “jumbo,” loan — defined as greater than $625,000 in the D.C. market — is now 3.76 percent, according to the MBA. That is the lowest average jumbo rate since April 2013. And 30-year rates on conforming mortgages average 3.91 percent, the MBA says. With long-term fixed rates as low as they are, borrowers have little appetite for adjustable rate mortgages. The Adjustable Rate Mortgage share of mortgage applications was just 6.4 percent.